Located near Arcadia on old Route 66, Pops is a newer addition that draws in a lot of visitors. 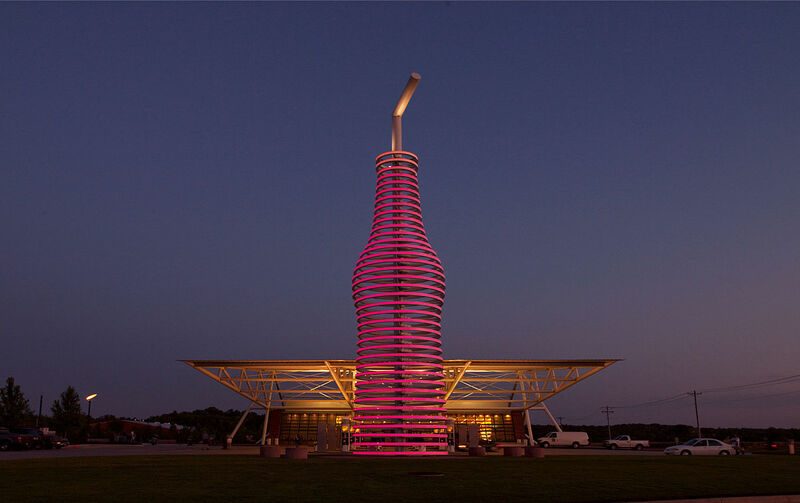 Most striking is the 66 foot tall neon soda bottle that can be seen from miles around. While that is impressive in its own right, what is more impressive is the number of flavors that Pops carries. Inside the restaurant, you can order from over 700 different soda flavors, as well as brands that can't be found anywhere else. 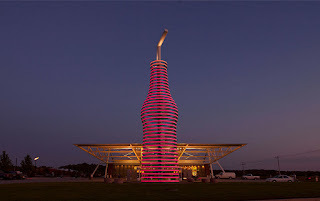 This article provides an interesting history of the world's largest soda bottle, as well as a good overview of what all can be found at Pops on Route 66.